Our first most viewed submission comes from Whitney! 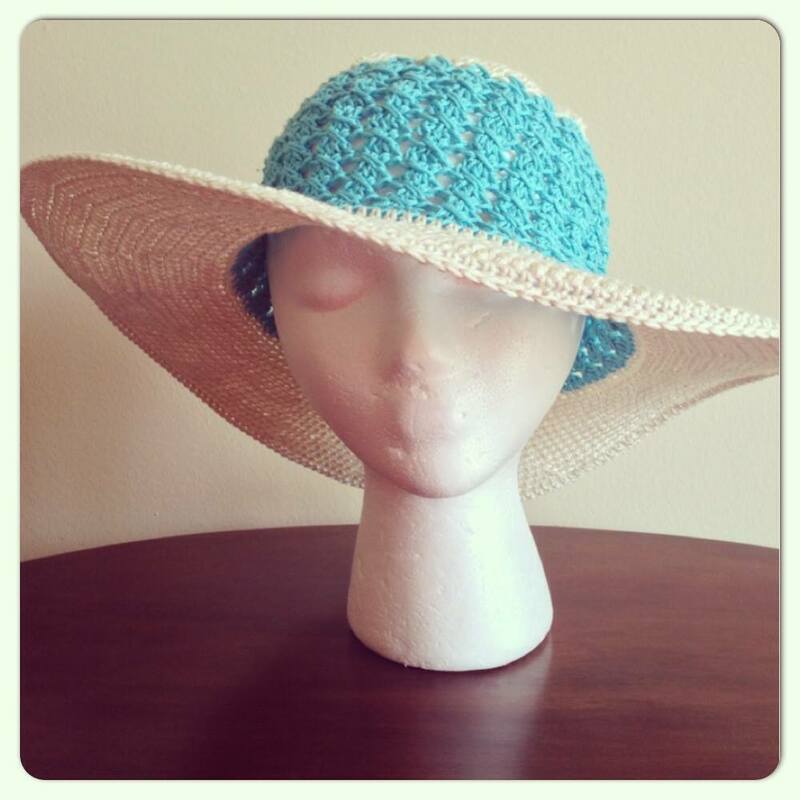 She made the Southern and Sassy beach hat, and I love her color choice. It screams take me to the beach. The hat was made using Sinfonia cotton yarn and is light weight too. Great job Whitney and thanks for sharing! 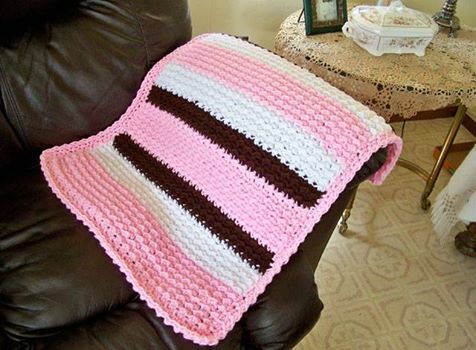 Next up comes from Debbie and it’s a sweet stroller or car seat blanket. I’ve always loved the pink, white and chocolate colors together. Something about the brown that just helps set each color off beautifully. 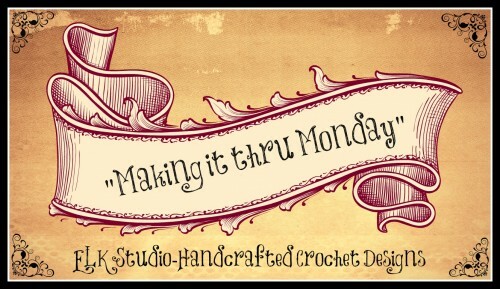 Debbie has a great Etsy shop if you’d like to take a look at her projects for sell. She’s made it here on “Making it thru Monday” many times and each project is beautiful. Thanks Debbie! Another project I would like to highlight that had the third most viewed submission comes from Elena of Beatrice Ryan Designs. She made these 4 hats for our ELK Studio – From the Heart April event. 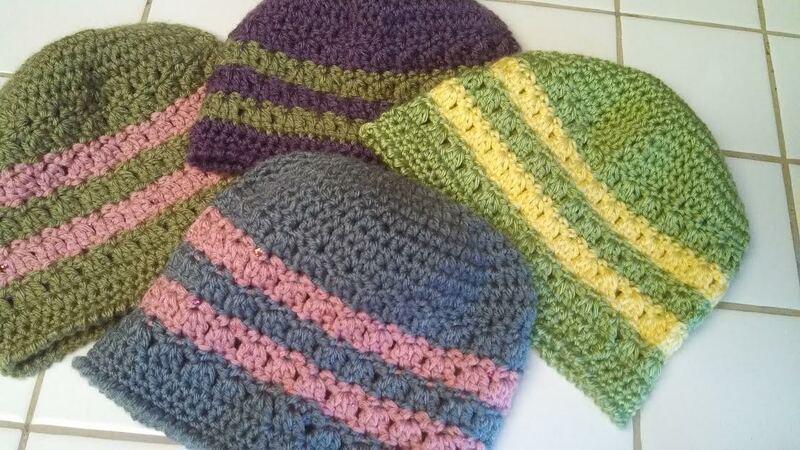 The hats are her own design from her Amazing Grace line and all the designs are FREE. She dedicates these designs for Breast Cancer Awareness. We would love for you to give some hats to our charity if you feel inclined!